Discover the difference of our superior floor marking products first-hand. We ship free samples to corporate locations in the United States and Canada, with no shipping cost. 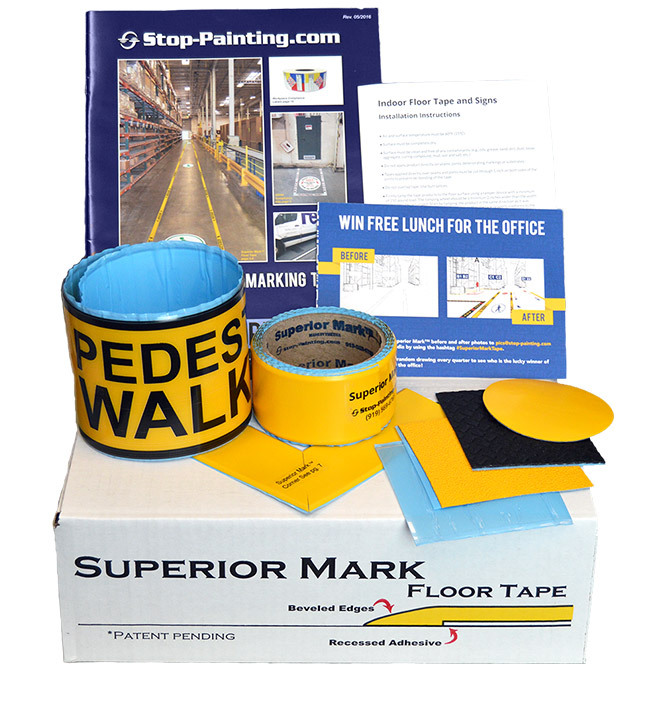 Stop-Painting.com offers a cost-effective alternative to marking industrial floors than with paint and ordinary vinyl tapes. We will help you to select the proper floor markings according to your specific needs and the amount of traffic your facility experiences. We have more than 300 premium floor tapes for the perfect solution for any building. Our floor marking solutions are long lasting and will save you money over the long term. We cannot ship samples to addresses outside the U.S. through this website. Please call us to request information about international orders.